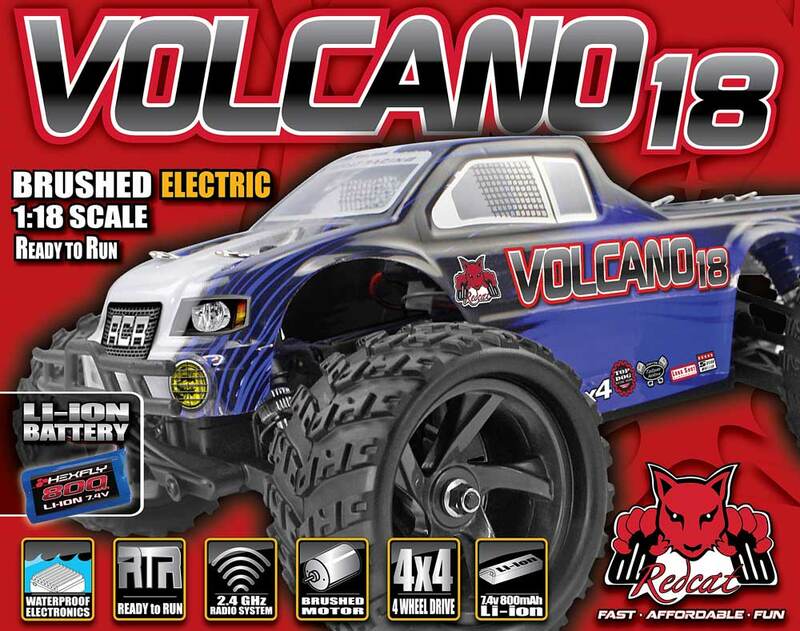 Redcat Racing VOLCANO-18 1/18 Scale Electric RC Monster Truck COMING SOON!!! 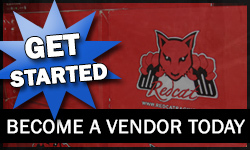 Want to get started in hobby grade RC but short on space? Meet the Volcano-18 1:18th scale RC vehicles. Small 1:18th scale size with big performance and fully waterproof! Each of the Volcanos has an electric brushed motor, 2-in-1 ESC/Receiver, and 7.4V 800mAh Li-ion rechargeable battery pack. These RTR vehicles are complete with Li-ion charger. These easy to use 1:18th scale Volcano vehicles can be driven indoors or out. Set up a course in the living room or kick up dirt outside. 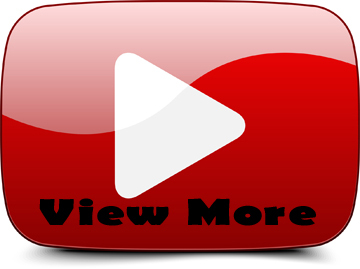 There are many options with the Volcano-18 series by Redcat Racing. Grab a Volcano-18 RC vehicle today and feel the earth shake beneath your feet!